I am here to share ideas to reach all learners, building on student strengths and successes to empower active, independent learners. By utilizing strategies to excite, inspire and engage students, we can make a difference. My favorite words to hear from Isaac just might be these: I did it! Yep, it's all about Isaac, the 2 year old silly, adorable boy, (my grandson) who steals my heart every time I see him. He's gotten me thinking about the messages we give kids about what they can do and how they view obstacles. I've caught myself, offering to help, and stopped, dead, in my overly helpful "Gaga" tracks, to let him struggle just a bit, especially as he teeters toward the point of frustration in building something, getting on his little bike, or climbing up onto the couch. It's quite the dance, especially with toddlers, to embrace that tipping point of a potential meltdown and not want to rush in and prevent it. What I've learned is that it is so essential to stand back and wait and see what happens first. You see, when you hear the words gleefully shouted, "I did it!!" you realize that your help might just have deprived the little one of that experience of momentary joy and empowerment. As I think about older learners as well, I believe that the same applies. How often do we step in too soon, and possibly disempower kids? What are your thoughts on building self-efficacy and confidence? 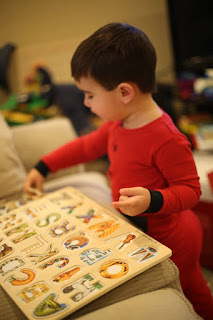 The Wise Question of a 2 Year Old: "Hmm..what I like?" I feel like him today and other rare days when I actually have free time, a priceless commodity in my perhaps too busy life. It’s nearly 9 a.m. a few days post-Christmas and the second Monday of holiday break. Educators know the feeling: OMG break is half over! I must do something to enjoy my time AND get stuff done. What if today, instead of the errands/chores I could keep myself busy with, I devoted a few hours to previously deemed “pointless” creative pursuits. What would they be? Play around with some ribbons, elastic etc to make headbands for sweet Eva, my 3 month old granddaughter. Crafting is always a time I get in flow. Make New Year’s cards, since I didn’t get around to Christmas cards. Cook! Research some autoimmune diet recipes so that I have yummy nutritious food to take even better care of myself. Shop, for veggies and ingredients for those recipes. Shop some more! I love getting deals on pretty Christmas wrap and haven’t indulged in this discount shopping time in years. Read! Whatever I feel like reading is fair game. Write down those ideas I’ve had for picture books. No pressure to start writing, but enjoying the freedom of brainstorming. Move! Whether it's going to Zumba tonight, or going for a spontaneous run, I will be sure to get my body moving as I feel the rewards immensely when I do. Ah, yes, writing this has liberated the child in me who wants to play today. I am off the computer now to decide where I’d like to begin. Who joins me today in a morning of, “What I like?” What will you do if you give yourself a choice to create and/or play? Do Report Card Narratives Lead to Positive Change? It's that wonderful (aka exhausting) time of year! Trimester report card narratives were due to my administrator on Tuesday. My very quiet disclaimer: Self Science, the class I teach for all students in 5th -8th grade, does not have its own space on the report card, so I don't actually have to/get to write them. In fact, I am very fortunate that I don't deal with grades in my classes. I spend a lot of time inviting students in reflective conversations on shared google docs where we share thoughts and observations. How could I even begin to "grade" social and emotional skills anyway? Before I begin, let me emphasize that I am questioning the "system", not criticizing the work of hard working teachers. My awesome, and exhausted after writing way too many narratives colleagues ask for input, so I have the opportunity to edit, and sometimes reframe comments that need a bit of clarity. 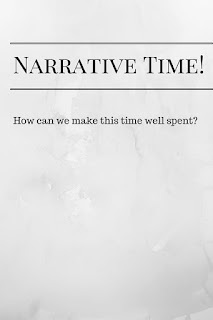 Despite the fact that I work in a school where teachers are strengths-oriented and skilled at observation, I still wonder if narratives could be more productive and useful. Does the incredible investment of time pay off? Do parents actually find the paragraphs and paragraphs written about their middle schoolers helpful? Do the narratives lead to positive change? Here's another main concern: So much of what we write seems so subjective, more about "who" we think a kid is, instead of "what" they have done during the trimester. What would happen if we made a more concerted attempt to avoid judgment oriented phrases such as: Nicole is a conscientious and generous student.. and tried something more "action" specific: Nicole works diligently in class and often goes out of her way to help peers when they are struggling to understand. What if we ask students for their reflections on their performance before writing their narratives, so we can compare their view of their effort and improvement with our own perception? What if a student's reflection actually landed on the report card? Wouldn't it be a rich discussion for parents to compare and contrast the student's impression with the teacher's report? What if report cards included goals and action items co-created by students and teachers? 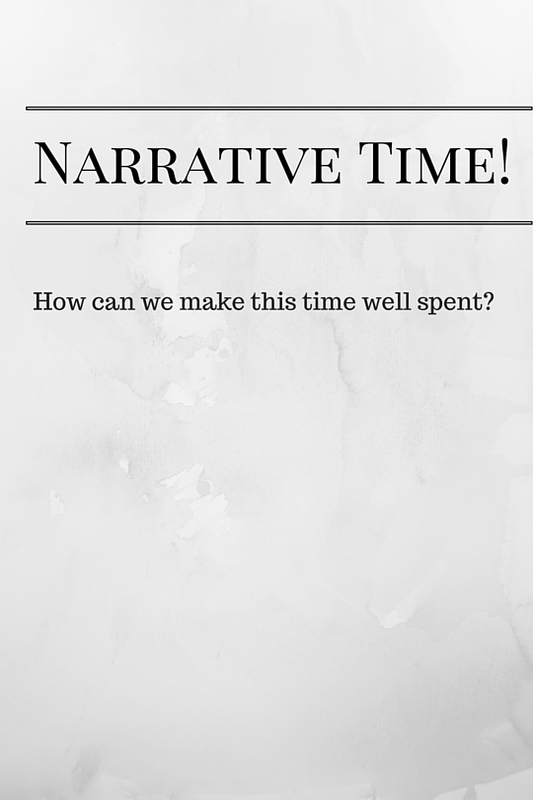 I'd love to hear from you..
How do you ensure that your narratives lead to positive change? As I was running today, it occurred to me how changing my focus of attention, while doing something challenging (like running! ), altered the difficulty and pleasurablilty of my experience. As I pondered the following actions, I found the time and distance whoosh away. S: Savor the interesting moments; learn how to stay and steep in the tiny moments of pleasure that are often interspersed with moments of pain and difficulty. L: Linger.. linger in beauty and curiosity. Turn your attention to that beautiful tree with the fiery red leaves and let your eyes linger there. Wonder how long those colors will remain before winter comes along. O: Observe openly and often: not just with your eyes, but with all of your senses. Today I will breathe in the aroma of the amazing food cooking in the kitchen. I may even go outside and come back in to exaggerate the incredible smell of deliciousness. W: Witness and notice more often the growth in your life or yourself. Maybe, like me, you aren’t the fastest runner out there, but you are making progress toward your health. Take the time to give yourself the props you would give a beloved friend. What acronyms help you stay present and find more meaning in your life? What if? 8 reflective questions to get me writing again. It's been way too long since I have written! It's actually quite embarrassing to visit this blog and see that it's been over a year. No more excuses! What if I wrote after these beautiful moments of inspiration? I wonder if these questions will motivate others as they now re-ignite my desire to put myself out there in the vulnerable act of blogging. What if I didn't need a moment of brilliance in order to write? What if one idea I wanted to share was simply enough? What if one powerful student comment that I shared helped an educator to reconsider his/her practice? What if I something I shared helped someone make it through the day? What if I took a dedicated 20-30 minutes and wrote every. single. day? What if I actually found a writer's group and shared my passion for writing while receiving critical feedback? What if I actually dared to ask for an interview from experts I value? What if I asked a friend to check in periodically to support my courageous creating? What questions will you ask yourself today? What's something you've been longing to do but just haven't managed to accomplish, yet? My Friday night was just spent reading Fish in a Tree, and I am sad that I finished this book so quickly. 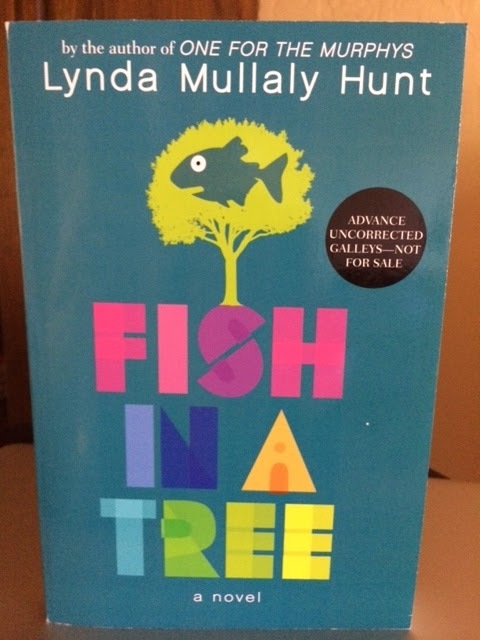 I fell in love with Carley in Lynda Mullaly Hunt's first book, One for the Murphys, and did just the same with Ally, the main character in Fish in a Tree. Ally is one of those brilliant kids we've met in our classes, in our communities, in our homes. She shines in some places, while struggling in others, and we gladly take her on as our friend, wanting to fight her battles with her every step of the way. Lynda introduces us to characters who evoke our own memories of school and of building our identities. She brings our heart into the mix right away and we are pulled in, laughing, crying and cheering the whole way. I was privileged to Skype- interview Lynda awhile back, and ask her some nitty gritty questions about her first book. Check it out! I've been struck recently by the lack of civility in blog post comment streams, tweets, fb comments and other virtual spaces. Although I realize that being online isn't the "cause" of this incivility, I just wonder to myself as I read teachers and others attacking each other, "Would you say this to the person face to face?" I have been called, with certain derision, a "do-gooder" in the past, so I realize that I might have a propensity for the rose colored glasses at times, but even when I make a comment with some level of disagreement, I speak/write with a specific intention: to create a constructive conversation, one that simply gets others to wonder a bit, open their minds. Before we react, perhaps we can just take a moment to wonder about what is going on within us. What is our motivation for speaking up? Has something got us "seeing red?" If so, will our comment work better when we have calmed down enough to write a thoughtful, effective, yet from the heart? Does someone disagreeing with us have to threaten us? Maybe it can just be an opportunity for learning. 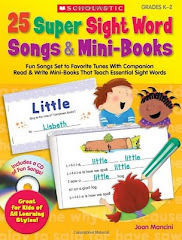 Click the pic to check out my new book! I contributed to this book! The Optimistic Child by Martin E. P.Seligman, Ph.D. I am a middle school teacher after teaching Kindergarten/1st grade and 4th grade for many years. I work/teach in northern California in the San Francisco Bay area. I have an M.A. 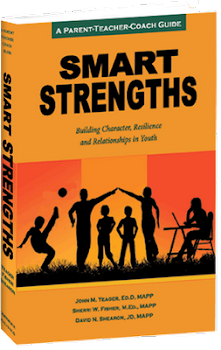 in Clinical Psychology and I am passionate about helping kids discover their strengths and become excited about learning. I also work as a 1:1 coach/tutor with kids who struggles with learning due to challenges like ADHD, depression, executive functioning issues, Asperger's and Dyslexia. I learn more and more each day from them as I see them build their awareness and confidence that they "can learn" when given both strategies that work for them along with validation that everyone learns "their way."